A New Challenger Approaches! Big changes come to Gamer Heroes this week as we bring on some new hosts to take the show forward. Derreck and Jon are joined by John and Mike to talk about gaming news including Amazon's new pre-order policy, Diablo III, Microsoft's Xbox All Access program, the terrible news out of EA's Madden 19 tournament, and more. 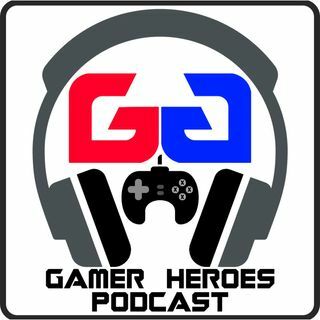 Plus, John and Mike talk about their organization, GGKC and how they plan to handle Gamer Heroes moving forward. Don't forget to ... See More subscribe. We're available on iTunes Apple Podcasts, Spreaker, Blog Talk Radio, Google Play, or you can use our RSS Feed to plug into any podcast app. Links are below!